Valentine's Day cross patch puzzle. 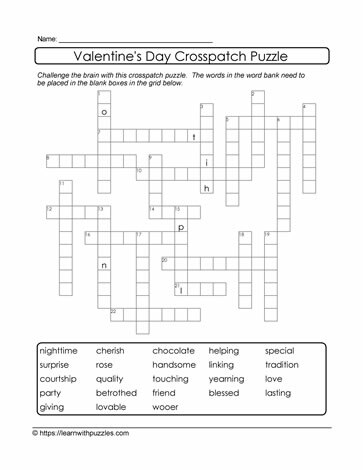 Here is a 23 word Valentine's Day printable crosspatch puzzle. Engage students' problem solving and vocabulary building skills in all classrooms: digital and Google classrooms, and both regular and the homeschooling environment. Challenge students in middle school 7,8,9 grade classrooms.